Does Drum Material Actually Matter? Could you tell the difference between a drum made from MDF versus one made from an exotic or expensive wood? Is drum material actually important, or can a drum be made from almost anything, especially if you’re doing everything else right? These are questions that custom drum builder Bart Westera from BW Drums wanted to answer, and his findings are pretty surprising! Bart Westera is a Dutch custom drum builder with a growing interest in unorthodox ways of building drums. 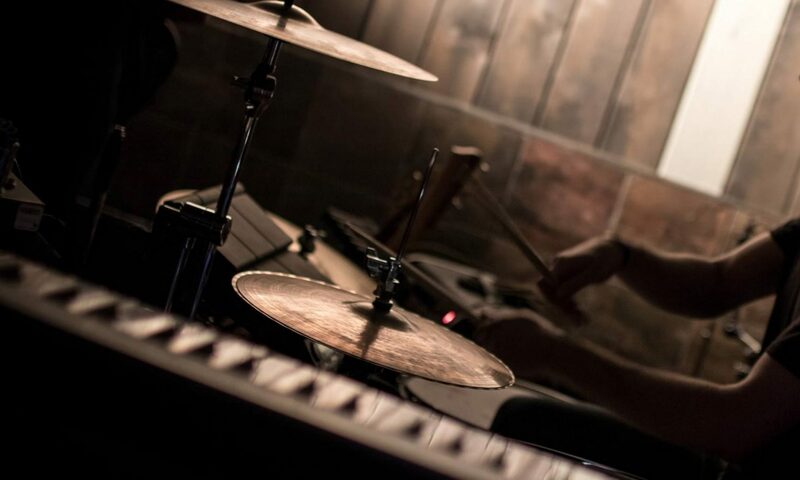 He felt the need to show that the material of a drum is not so important, because that would allow him to use any material and technique he wishes – without compromising on sound quality. When it comes to higher-end drum kits, manufacturers put a huge emphasis on the materials their drums are made from. Drum woods like “African Mahogany”, “Japanese Oak”, and “Pure Tasmanian Blackheart” are all marketed as a badge of honour. Of course, these drums are also precision-crafted with flawless bearing edges, perfect plies, the best hardware, and world-class drum building techniques. All of these things combine to give you the end result, and it usually sounds great. Beyond this though, a drum kit’s sound can change dramatically depending on the drumhead choice, tuning, and the room itself. Drumheads are such a confusing (yet incredibly important) factor, we created our free drumhead selector to help this. So, there are a lot of factors in your drum sound equation. In general though, great woods are used on great drum kits. Cheap woods are used on cheap drum kits. However, these cheap drums also have much lower build quality, and much lower quality control standards. So how much of a “cheap” drum kit’s sound is due to the wood, and how much is due to poor build quality, terrible hardware, cheap stock drumheads, and (maybe) a beginner drummer fighting an uphill battle trying to tune them in all of this mess? With so many different variables going into your drum kit’s sound, does the drum’s wood (or metal) really matter that much in the bigger picture? Read Bart Westera’s great article below to find out. The Sweet Sound of MDF! Is there such a thing as the warmth of maple and the attack of birch? Are there superior or inferior woods when it comes to making drums? I am highly skeptical about what is commonly believed about the relation between the material of a drum and its sound, especially when it comes to characteristics of wood species. I have many reasons for my skepticism. Most are based on real life experience: For example, being totally blown away by how good a cheap luan kit sounded after reworking its bearing-edges. Some on reasoning: From my education in social sciences, I know that processing of stimuli (in this case sounds) is a two way process; there is information going bottom up (from the ear to the highest levels of brain functioning), and top down (the upward flow is influenced by higher level brain regions). Simply put: If you expect to hear the warmth of maple [top-down] you’ll hear it in the drum you’re playing [bottom-up]. 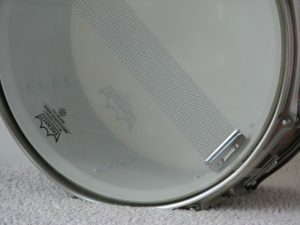 If you have a fairly stiff, fairly round shell with good bearing edges, you can have a good sounding drum, regardless the material. Of course, in that sentence “good sounding” is open to any possible personal interpretation, but I’ll get back to that later. For me, and I guess all other drummers, it is obvious that different drums have different characteristics, but I think sound characteristics are very strongly influenced by heads, tuning, playing, bearing edges, shell-rigidity, snare-wires, hoops, the room you play, and a lot less so by shell material. I also think that at least 85% of what is commonly thought about brass vs. copper, maple vs. birch, stave vs. ply etc. is thought because of all the marketing pumped into our heads and the innate human tendency to hold on to dogmas in a confusing world (and, of course, the very fruitful interaction between these two). Some may agree with my stances, many will disagree or even be pissed off. After mingling in some (Facebook) discussions on material and sound, I was getting ideas about doing some kind of test. “Some of these people are quite dogmatic about material, wood species in particular. What material, used for a drum shell, would truly make them cringe? What would be considered very inferior to the generally so called “tone-woods” like maple, birch, walnut, mahogany, cherry, etc.? Wouldn’t that be particle board or MDF? Both are somehow related to wood, but are not wood at all, being just sawdust and glue, produced as cheaply as possible. What would happen if I made a stave drum from one of these materials, a rigid one, perfectly round and with nice sharp bearing edges? I strongly felt the urge to really actually do this and chose to use MDF, because with particleboard it would be too difficult to make bearing edges. I bought the cheapest (low quality) MDF at a Gamma, a Dutch hardware store, and made it into a 14 x 6 stave drum. When milling the inside of it in my Koko-jig I stopped when I reached a thickness with which the 100% stiffness was starting to give just a tiny bit; this was around 14 mm. I gave it double 45 bearing edges, and before sanding the edges I let them soak CA glue until saturation. I sanded the edges perfectly smooth and made them quite sharp. The inside of the drum I sanded and painted in a white primer. On the outside I used my own textile-finishing system (a thin textile that is soaked in hard laquer). This made the MDF invisible. I gathered data at several occasions where I met drummers (among these occasions there were two fairs, one in Hasselt, Belgium, and one in Nieuwegein, The Netherlands). I had drummers play the drum, without allowing them to lift it, so they could not guess the weight. 1. What do you think it is made of? 2. How much do you like it soundwise between 0 (not at all) and 10 (best drum I ever heard)? 3. How would you describe the sound? I wrote down all answers and later analyzed them. Twenty three drummers took part in this research. Here are their answers. Question 1: What do you think it is made of? Six drummers gave more than one answer, for example “wood, probably birch or maybe maple”. To make analysis a little easier I only used their first answer. Nine drummers thought the drum was made of metal, 3 of them were specific (B20-bronze, aluminum, steel). Ten drummers thought it was wood, 5 times specific (1 time maple and 4 times birch). Two drummers thought it was made of some plastic. One drummer answered he didn’t know. One drummer actually got it right and answered “some kind of composite”, which I think is quite remarkable. This was Adriaan Leunen from A3drums in Belgium, he allowed me to mention his name. Of the 10 drummers that played the drum in Nieuwegein 5 thought it was made of (some kind of) metal, and 4 thought it was made of (some kind of) wood. From the 8 drummers that played the drum in Hasselt, 5 thought it was made of (some kind of) wood and 2 thought it was made from (some kind of) metal. This quantitative difference is hard to analyze statistically because of the low sample size1. Question 2: How much do you like it soundwise, from 0 to 10? Only one drummer graded the drum a 6.5, all the other grades were 7 or higher. The overall average grade that the drum got was 7.9. Four drummers were so enthusiastic about the drum that they asked me to sell it to them. Because of the trend I noticed in the answers on question 1, I calculated the mean scores of drummers I met in Nieuwegein (7.5, standard deviation of 0.58) and Hasselt (8.2, standard deviation of 0.46)2. This difference appears to be statistically significant3. Question 3: How would you describe the sound? This was an open question, so it was to be expected that I would get a wide variety of answers, which indeed was the case. The variety was so big that I could not discover any trend in it. Well, first: The average score is not bad! A 7.9 is pretty high! I guess that this MDF stave drum makes a good sounding drum to most drummers. “Good sounding” is still a very subjective adjective but I think that now the appreciation is expressed in an average number, and this number is quite high, it is a little more objective to say it sounds good. Of course it would be interesting to see what grade the MDF drum would get when it got compared (in a blind test) to a well tuned high-end snare. Would they both get the same average grade? Would the MDF drum still score a 7.9 and the high-end drum an even higher grade, or would the high-end drum score the 7.9 with the MDF drum scoring lower? Second: Apart from the trend I noticed (see above), it seems that in general the drum was considered to be all kinds of materials, with wood and metal being mentioned the most. To me this shows that there is no objective collectively-held stereotype of the sound of metal or wooden drums. The respondents must have all had their own sonic reasoning before they came to an answer. One drum with one sound seems to fall into different categories in the drummers heads, so the categories themselves must differ. To explain why this is the case I suggest that the difference between metal and wooden drums just isn’t all that big. To make this more clear: The stereotypical sound of, say, 32 inch gongs beaten with baseball-bats is extremely different from the stereotypical sound of butchers smacking large steaks with cook’s knives. The stereotypes are clearly distinct, because they were built up from extremely different phenomena. If phenomena are quite alike (as I suggest is the case with metal and wood snare drums), it is more difficult to build up clearly distinct stereotypes. Third: I think that it is quite telling that in general the drum was more easily considered a metal one (than a wooden one) in Nieuwegein and vice versa in Hasselt. Most of all it tells something about acoustics I guess. This matches with my observations while collecting data. In Nieuwgein, quite a few drummers and stand-owners complained about the bad (cold, reflective) acoustics in the part of the room where I had my stand, while none of this happened in Hasselt. So, it seems that for quite a substantial part the drummers heard the interaction of the drum with the room, instead of just the drum, which is very common sense when you think of it. Did I or did I not justify my stance that ANYTHING fairly round, fairly stiff and with good bearing edges can be made into a good sounding drum? No of course I didn’t, because MDF is not the equivalent of ANYTHING. And if it would be, then still this research doesn’t prove anything, because of its explorative character. From a scientific methodological point of view is has way too many flaws to justify anything. All conclusions I draw after analyzing my data are at best suggestions for further, more rigorous research. This specific snare drum that was made from MDF was liked quite a lot by different drummers in different situations. 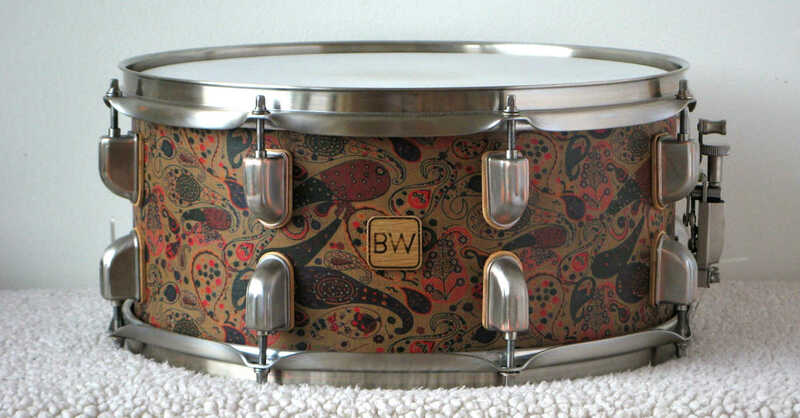 Check out Bart Westera’s custom drum website, BW Drums, here. 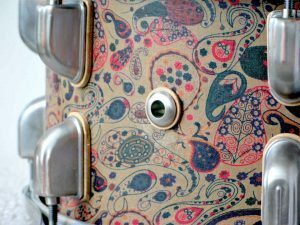 He has some really cool (and very unique) snare drums and drum sets, including a remake of the MDF drum featured in this article. 1. Just a few drummers are not very representative of all drummers; a sample size of 2000 drummers, preferably randomly selected, would be much more likely to represent all drummers. 2. Standard deviation (SD) is a measure for how much on average the individual measures deviate from the mean. In this case the SD is quite low, which may indicate that the drummers all more or less agreed on the sonic quality. Means with small SD’s can be considered “firmer” than means with low SDs. 3. p=0.012, which means that there’s a chance of only 1.2 % that this difference is based on sheer coincidence. However significant though, the sample size is small (see note 1). 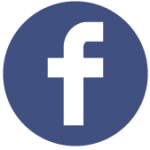 Want more free drum articles?! 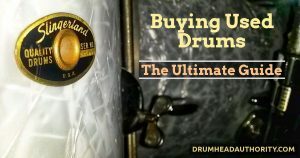 Check out our complete guide to buying used drums. Learn how to spot a great kit (there are some real bargains out there), and make sure you never end up with a lemon! We show you all of the red flags, the deal-breakers, and the stuff that can easily be fixed without actually affecting the quality or sound of the drum kit. Don’t shop for a used kit without reading this first! What’s your favourite bass drum pedal? Well, we tested a huge range, and show you the winners at three different price categories: The best cheap/beginner bass drum pedal, the best intermediate pedal, and the absolute best top-of-the-line pedal. 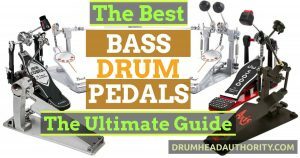 Read our ultimate guide to the best bass drum pedals here.